The Norbar HandTorque HT4 Series Torque Mulitiplier is the most comprehensive torque multiplier range available today. An extensive assortment of alternative reaction styles are available, making the HandTorque Torque Multiplier range adaptable to many applications. The Norbar HandTorque HT4 Series Torque Mulitiplier is available in models up to 4500 Nm with a guaranteed +-4% accuracy. Like its HT3 counterpart, the HT4 is supplied with a heavy duty carry case and replacement square drive. 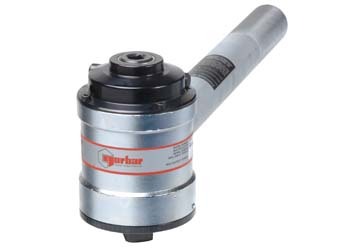 Norbar HandTorque HT4 Series Torque Mulitipliersrequire minimal maintenance and are able to perform exceptionally well in the toughest applications. The HT4 HandTorque multiplier is available in models up to 4500 Nm with a guaranteed +-4% accuracy. Like its HT3 counterpart, the HT4 is supplied with a heavy duty carry case and replacement square drive. The sturdy construction of the HT4 means this tool require minimal maintenance and is able to perform exceptionally well in the toughest applications. The HT4 design includes an Anti Wind-Up Ratchet to allow for safer and more functional operation and is supplied in a carry case with replacement square drive.